Community has a pool and walking trails and is conveniently located to I-485. MLS#3487433. Redfin Corporation. Shadow lake - Expect to complete lawn and driveway power-wash 4/22-23. Soon yard pics. MLS#3481116. Keller Williams Ballantyne Area. Highland Creek - Then STOP LOOKING! This is THE ONE! MLS#3496112. Keller Williams Lake Norman. Dishwasher and Fridge are less than 3 years old. Double Pained Windows. Carport. MLS#3497241. Redfin Corporation. Sardis By The Park - Minutes to Matthews and the Arboretum. MLS#3496213. RE/MAX Executive. This is a house you definitely need to check out! MLS#3495902. Keller Williams Ballantyne Area. Master bedroom has its own access to the large deck which overlooks the lightly treed, level, fenced backyard with irrigation. MLS#3497418. Keller Williams Ballantyne Area. Lawing Pond - Nearby is NorthLake Mall & Airport; 20 minutes to Uptown. MLS#3494758. Coldwell Banker Residential Brokerage. 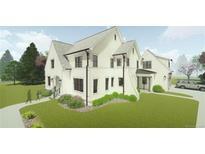 Falconbridge - Truly a wonderful home in the heart of South Charlotte! MLS#3494446. Terpenning Inc..
Amber Ridge - Publix, Starbucks and many other shopping options minutes away. Easily access to 485 MLS#3497627. Citywide Group Inc..
Why risk it? See it today! MLS#3497434. EXP REALTY LLC. This home is freshly painted and ready for move-in. Come take a look! MLS#3497234. 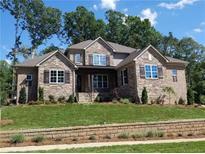 Ideal Realty Inc.
Withers Grove - So much to enjoy in this home! MLS#3497223. Coldwell Banker Residential Brokerage. One year home warranty with purchase starts the day of closing. MLS#3496695. Keller Williams Ballantyne Area. Easy access to I-77 and I-85. MLS#3491889. Wilkinson ERA Real Estate. Option for 3rd bedroom available. Contact Listing agent for details! MLS#3497520. Keller Williams Union County. Also close to shopping, White Water Center, entertainment, and very close to I-485 for an easy drive anywhere in the Charlotte region. MLS#3497297. EXP REALTY LLC. You can't beat the location of this home! MLS#3497536. Bowman Real Estate LLC.